Organizations engage workers in many different ways – permanent employees, independent contractors, freelancers, and professional service workers, to name a few. However, regulatory agencies such as the Department of Labor and IRS only have two classifications for workers – employees (W-2) or independent contractors (1099). nextSource’s Compliance Services can facilitate the classification and engagement of your workers while ensuring full compliance with federal, state and local regulations. nextSource’s Classification Advisory provides a comprehensive assessment of your contract workers, consultants, or freelancers. 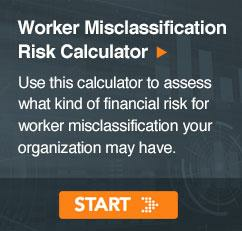 This assessment classifies these workers and identifies highest risk factors. Our team or compliance specialists will perform an audit of your workforce to determine whether your organization is properly classifying workers. At the end or our assessment, we develop and implement a mitigation strategy to ensure compliance. 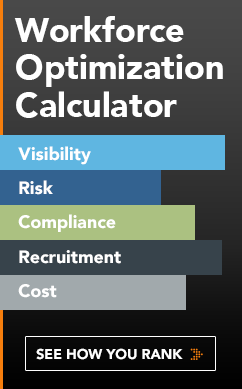 nextSource’s Classification Management provides real-time visibility and oversight of your newly engaged independent contractors. With a focus on the latest classification technology and customer service, nextSource provides a unique blend of person-to-person and on-demand process automation to quickly, efficiently and accurately complete your classification evaluations. nextSource works directly with hiring managers and their workers to define the work, the relationship between the organization and the workers, and the impacts of the various federal and state regulations on their engagement to complete the work. Each worker will be assessed, providing clear visibility of the factors and levels of risk in the event of an audit or investigation.